Jan 8 Tamar Secretly Dating Hubby Vince? Including this till death do us part diva... Tamar Braxton. The Braxton’s family been extremely worried about their loved one, Tamar. 2017 concluded with a BANG! 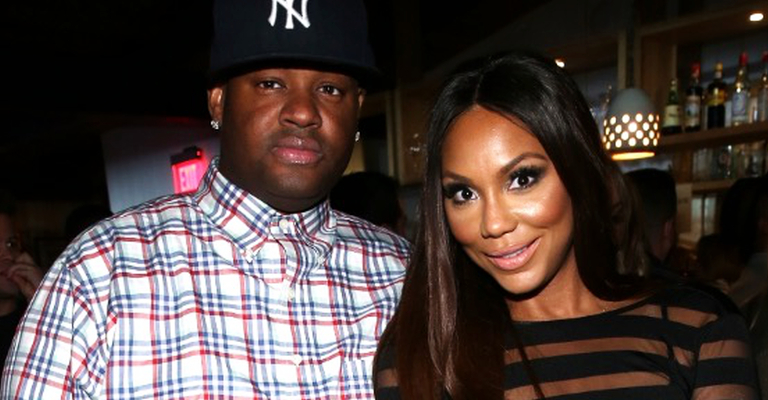 Tamar nearly lost her sanity & Vincent Herbert was arrested for spousal assault & the central figure about allegations of an illegitimate love-child surfaced. Amidst divorce rumors, her love ones are continuously fighting for her freedom to pursue happiness. The family is shocked, appalled & desperately attempting to contact the Love & War artist to ensure she’s safe & not a POW. Although Tamar insists she & Vince are not back together, her actions are clearly different than her words. Tamar’s been spotted numerous times with her hubby on family outings. According to a close friend of the Braxton’s, Tamar’s mother is pleading with her daughter to permanently leave Herbert. She’s not a fan of the reality stars’ toxic relationship & is willing to utilize all avenues to split the once power couple. Something tells us this is not the last we’ll hear about Tamar & Vince. Climb on The Family Tree below & share your thoughts about My Niece Tamar Braxton’s secretly dating situation! Jan 8 H&M Apologizes for Using Black Child to Model Racist Sweatshirt!!! Jan 7 WTH!!! Is D L Hughley Cam Newton’s Biological Father? Mar 26 Cardi B Wants To Know What Happened To Her F@#king Money!!! Apr 19 Chile… Is Tamar Braxton Becoming a RHOA!?!? !